Silk rugs in Chelsea bring a touch of luxury to your decor. At Luxury Rugs, we have an excellent collection of fine handmade silk rugs from well-known designers from around the world. We also have our own collection and we can offer you the option of your own bespoke silk rug, designed to your specifications. We need practical furnishing in our homes and fortunately we can have that and luxury at the same time. One need not negate the other. 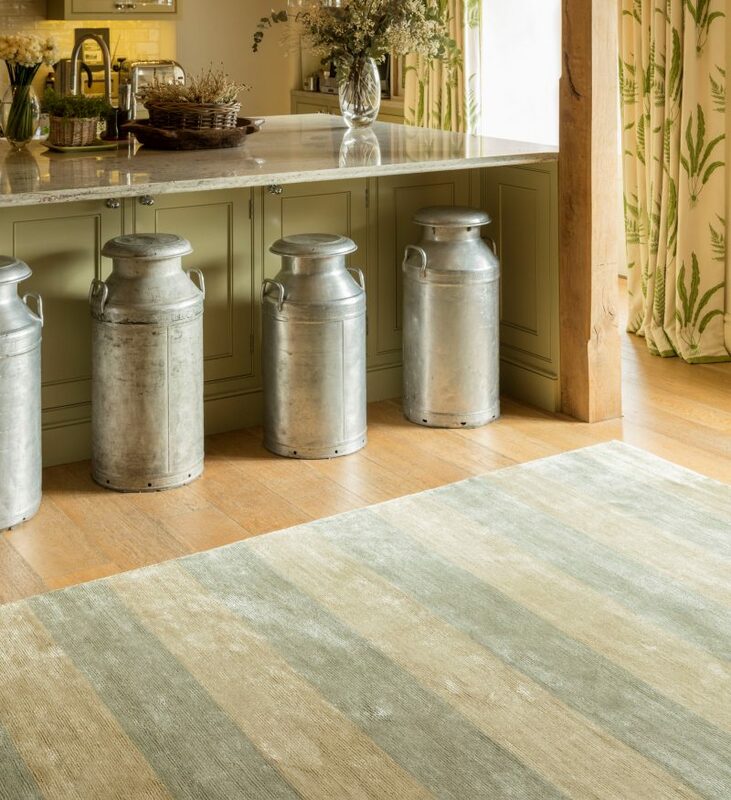 Hand knotted silk rugs are as supple as liquid; so soft to the touch yet can last for centuries with proper care. These are the rugs sought after by royalty but only if the quality is there. The more knots per square inch, the higher the quality. 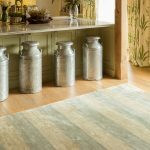 Silk rugs are durable but not tough and by that we mean the natural fibres will last and keep their fresh look if not exposed to harsh treatment. In Chelsea, silk rugs location in your home should be a low traffic area. Professional dry cleaning is best; in between it’s okay to vacuum the silk rug occasionally using only the suction without the power roller. You can also shake the silk rug to clean it but don’t beat the dirt out. The silk fibres will break down. 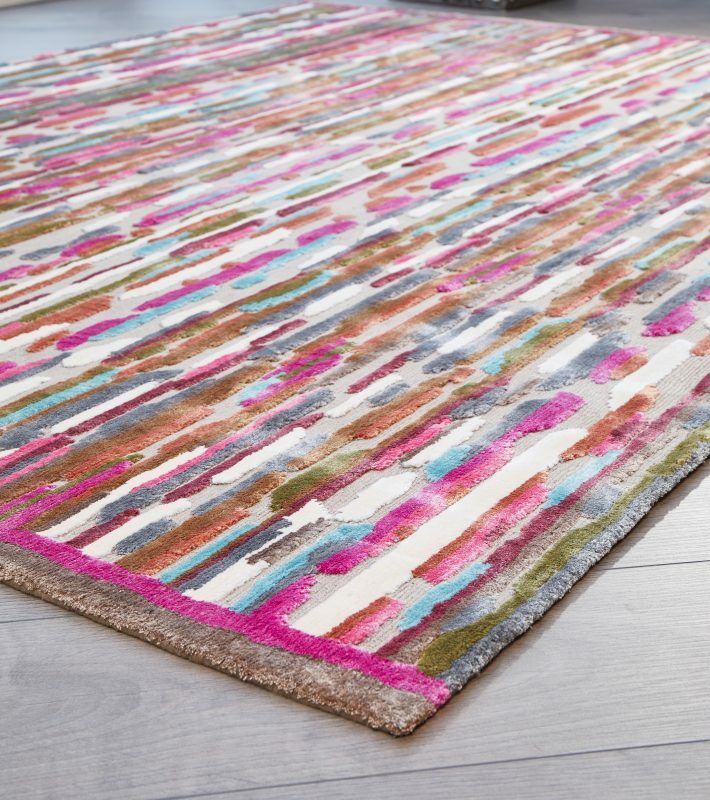 If you long for a silk rug but you have children and pets you could confine the rug to your own bedroom space. However, you can still show it off by using it as a wall hanging in the main part of your home. Angelo and Yeoward are well known designers of silk rugs in Chelsea. When you think of silk don’t just think of product extracted from the silk worm cocoon. Bamboo silk is of the same high quality and more available. Both designers have lovely works in bamboo silk. Design your own silk rug using your favourite colours. With the help of our staff designers and your ideas, we can create a custom silk rug made just for you. Contact Luxury Rugs or stop in at our showroom and see our display of silk rugs and view samples from various designers. You’ll find faux silk and rugs made of blended silk and wool you may like.